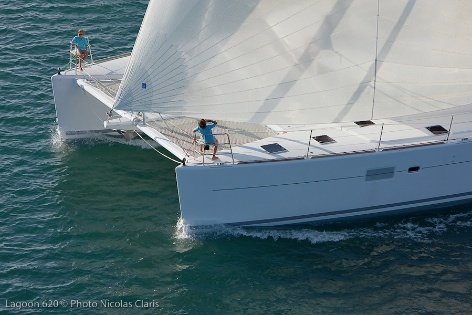 Sailing catamaran FEEL SO GOOD was designed by the naval architects Van Peteghem and Lauriot Prévost (VPLP) in conjunction with Lagoon. Charter yacht FEEL SO GOOD measures 18.9m (62ft). Available for charter in the west and east Mediterranean, the yacht can comfortably accommodate up to 8 guests in 4 en-suite double cabins. 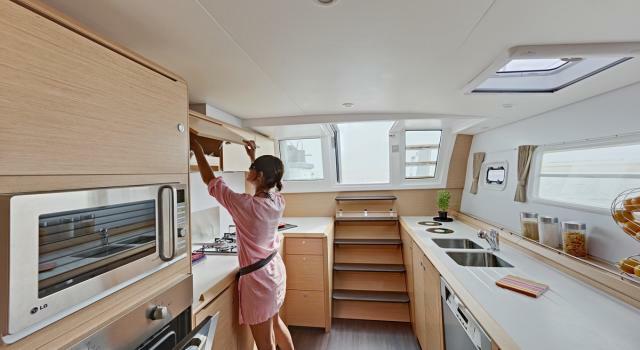 S/Y FEEL SO GOOD has a spacious interior thanks to the catamaran dual hull design. Nauta design group created the generous interior living areas using Alpi ® reconstituted wood, a sustainable source of light oak for the panels and floors, giving an even larger feel. The salon and dining is an open plan, the décor is contemporary neutral with vibrant red soft furnishings. Vertical windows allow further spaciousness whilst also eliminating direct sunlight and heat, providing just the right balance. 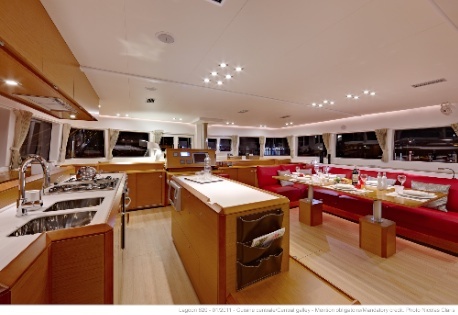 The galley aboard the Lagoon 620 catamaran FEEL SO GOOD is separate on the port side aft, with access from the salon and the guest cockpit. 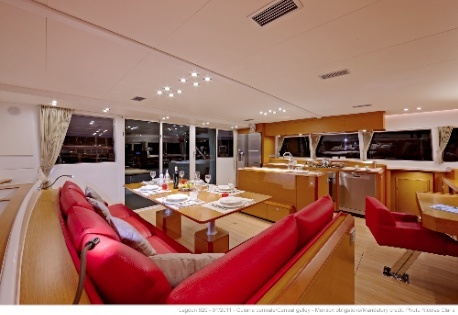 Charter yacht FEEL SO GOOD has plenty of exterior living areas to enjoy. The guest cockpit is free from running lines and offers shaded alfresco dining option, ample seating and a bar fridge area with sink. Aft of the lower guest cockpit the sugar scoop transoms make water access effortless. 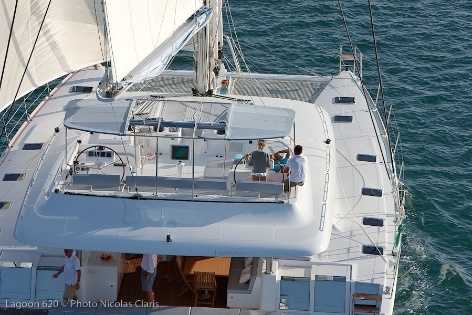 Wide wrap around decks lead to the foredeck where an additional guest cockpit is ideal for a private escape, followed by 2 large safety trampolines, perfect for sun lovers. 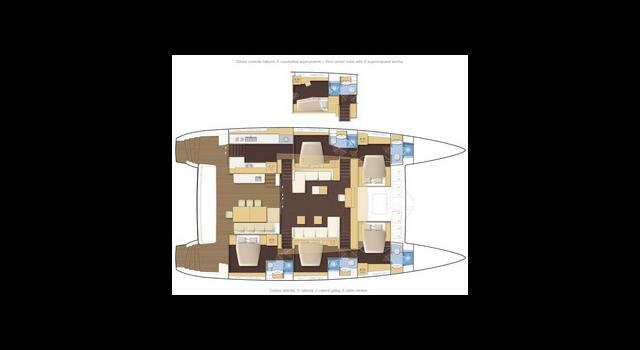 Luxury sailing yacht FEEL SO GOOD has a generous flybridge with ample seating, dual helms and forward sunpads, partial shade is available. 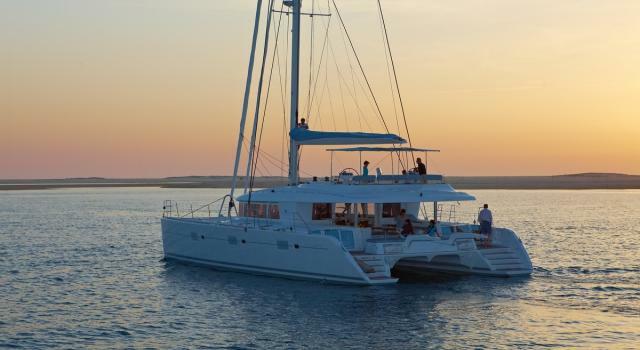 The FEEL SO GOOD catamaran has a beam of 9.9m (32.9ft) and a draft of 1.2m (4.1ft), making her the ideal stable yacht with the ability to anchor in shallow bays. 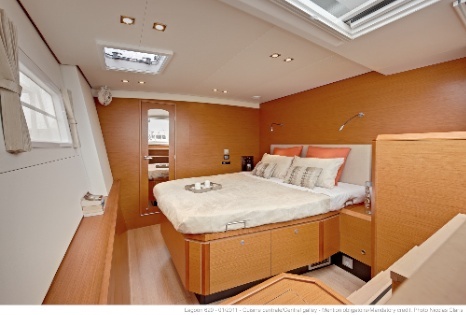 The yacht is powered by 2 x 150hp Volvo engines capable of 8 – 10 knots. 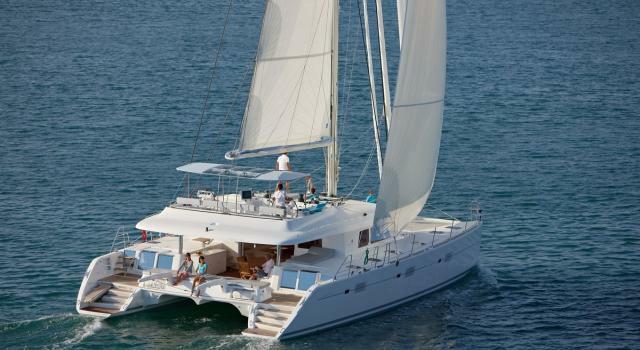 Sailing catamaran FEEL SO GOOD can accommodate up to 8 charter guests in 4 double cabins, all with queen size beds and en-suite facilities. 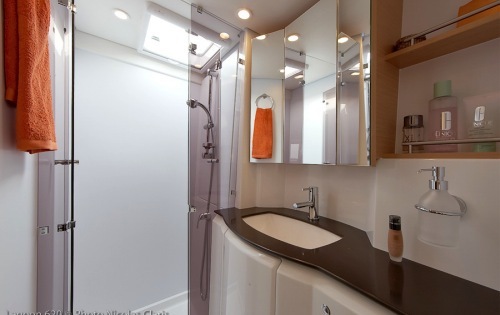 The master stateroom is aft on the starboard side, the VIP cabin is amidships on the starboard side, followed by a further double cabin forward on the starboard side. 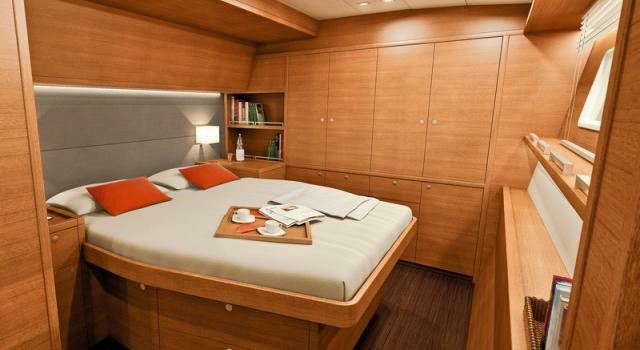 On the port side and forward, is a guest double cabin. 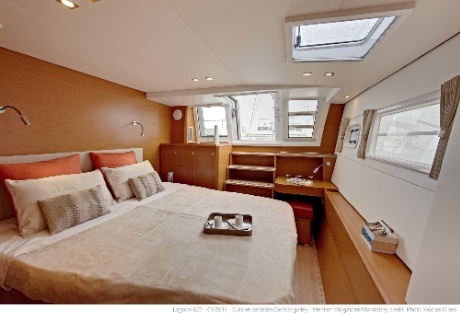 The crew are separate on the port side amidships, the galley to port and aft. 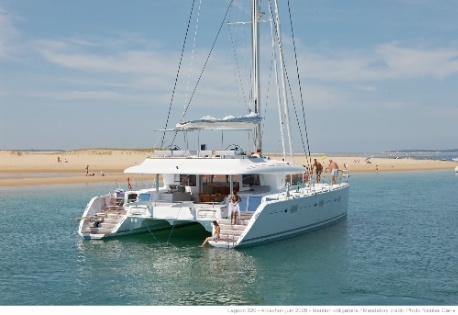 The Lagoon 62 Cat FEEL SO GOOD has the following Tenders & Toys: A 4,30 m tender - 40 hp, Water Ski, scurf, tube, wake board, 2 Stand up paddling inflatables - 2 kayaks inflatable - snorkeling equipment - fishing equipment. 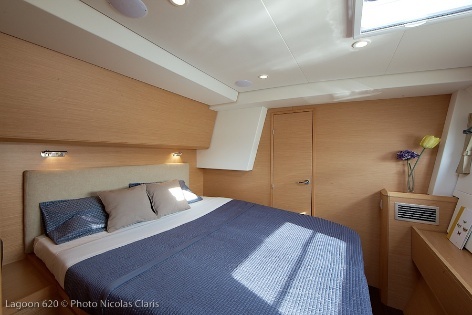 Communications onboard include Cellular, sat phone, internet (sat & GSM), wifi antenna. VHF, SSB Audio Visual Equipment and Deck Facilities include Flat screen TV plus antenna sat & analaogic, dvd, bluray , and Hi fi stereo BOSE home theater. 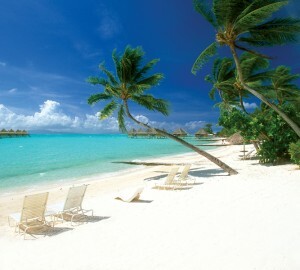 Sun mattresses, fly bridge, deck chairs.